Festive masquerade eye mask 24 piece set is hand decorated with acrylic glitter. Made of lightweight plastic for a comfortable wear. 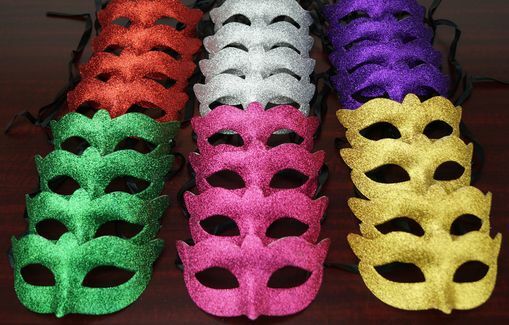 Perfect as a part of a Carnivale, Halloween, Masquerade Mardi Gras party. Comes with ribbon ties.